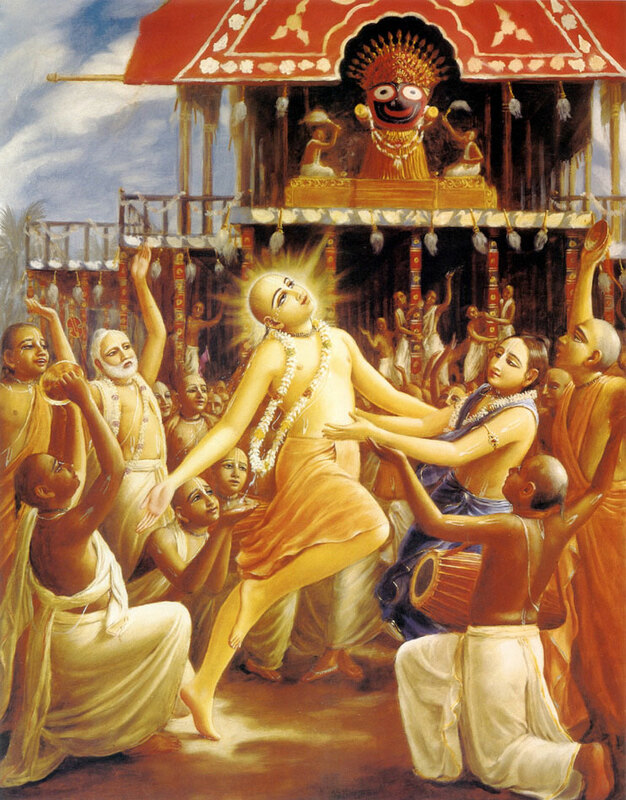 Sri Caitanya Mahaprabhu is the most recent incarnation of Krsna. He appeared 530 years ago in Bengal and in the form of Krsna's devotee in the mood of Srimati Radharani. He left only 8 slokas (verses) of his instructions in writing, and they describe the glories of the Holy Names of the Lord and the mood one must have to chant and to be a devotee. My new bhajan (practice) is to chant this 8 mantras daily. Glory to the Sri-Krsna-Sankirtana, which cleanses the heart of all the dust accumulated for years and extinguishes the fire of conditional life, of repeated birth and death. This sankirtana movement is the prime benediction for humanity at large because it spreads the rays of the benediction moon. It is the life of all transcendental knowledge. It increases the ocean of transcendental bliss, and it enables us to fully taste the nectar for which we are always anxious. O son of Maharaja Nanda (Krsna), I am Your eternal servitor, yet somehow or other I have fallen into the ocean of birth and death. Please pick me up from this ocean of death and place me as one of the atoms at Your lotus feet.